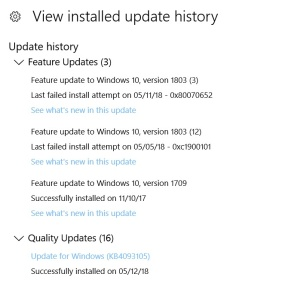 I am unable to get Windows 10 Spring Creators Update (Feature update 1803) to install. 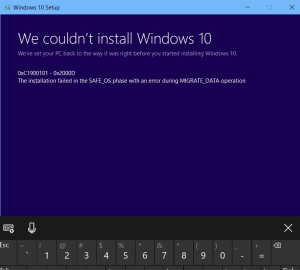 The update fails to install repeatedly. One setuperr.log file has over 180 thousand+ lines. I searched through the logs looking for "error" or "fail" and googled for information. There was the recommendation to delete the C:\Windows\SoftwareDistribution folder. And the recommendation to attempt the install from SafeMode. I can only get into SafeMode by using sysinfo and setting the option to boot in safe mode. Any other method does not work without a keyboard and I do not have an OTG cable to test with a USB keyboard. 1. 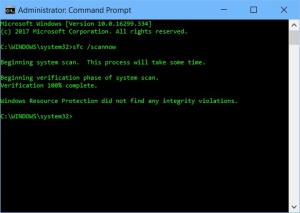 On which Windows version did you get the error? 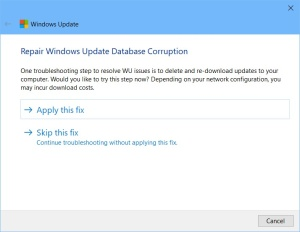 It reported that the Windows Update Database was corrupt (not fixed). which successfully completed without errors. Ran Windows Update Troubleshooter again. 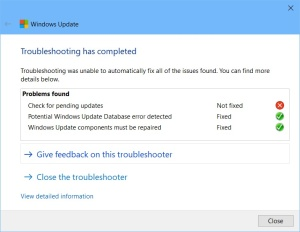 Ran the Windows Update Troubleshooter again. It again recommended the troubleshoothing step of deleting the updates and downloading them again. Other updates continue to sucdessfully install. Downloaded them to manually install. Downloaded the Media Creation Tool and performed an in place upgrade which also failed. and even if it did I do not have the necessary tools to test. I'm at a complete loss as to what to try next. Any ideas? Anyone? and there are no yellow exclamation points in DeviceManager. I hope I covered everything pertinent. For now I have the update hidden using wushowhide.diagcab. 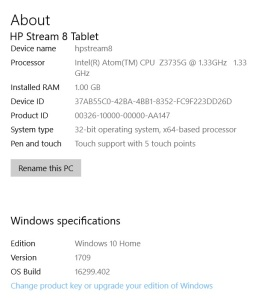 My initial thought is that the HP Slate8 tablet does not have enough free space to perform the upgrade. I believe the HP Slate 8 supports USB OTG, so using a hub with a USB flash drive + keyboard may all you to perform a clean installation of Windows 10. I also thought the issue was not enough free space and it may be I'm just not so sure. With 1709 about halfway through I got a message about needing to free up some space. I assumed I would get a similar message from 1803 if more space was required. reboot, and try upgrading again. It failed as well. I could never connect back so I gave up. I have an OTG flash drive and I am going to see if I can use it to perform a new install from. Unfortunately attempting an install from the OTG Flash drive also fails. had the most up-to-date driver and after a reboot I have no response to touch at the login screen. Touch works when I go into the system tests. Looks like I'm going to need to get an OTG cable in order to attach a keyboard to go any further. Edited by alphaomega, 17 May 2018 - 09:14 PM. I would suggest backing up any data off the HP Slate 8 tablet, then attaching keyboard, mouse, and the USB boot drive via a OTG USB Hub and performing a clean install that way. Forgot I had Teamviewer on the tablet so I am able to get in over the LAN. Now I need to figure out what happened to touch (no yellow exclamation points in device manager). I ordered an OTG USB Hub and am going to try a clean install at that point. I reinstalled the Intel chipset drivers and touch is working again. Edited by alphaomega, 19 May 2018 - 04:04 PM. I hope it is powered. I use an OTG cable and attach a 4-port powered USB hub to my tablets. I can get USB sticks, a mouse, keyboard, portable hard drive and portable DVD burner recognized. The OTG cable came in and I did a clean install and I am somewhat back in business. Now I need to let the device charge back up so I can continue. I need to get drivers for some items in Device Manager that now have a yellow exclamation. Touch screen it not working. 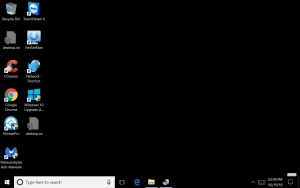 Mixer icon in the taskbar has a red exclamation on it. And there are no i2c drivers. What a PITA this was. Did you get in touch with HP ? Those are the ones I needed. Thank you. No, the tablet is no longer under warranty. The tablet is working again. hard drive in less time. now that I have an OTG cable. My Acer desktop was upgraded to Update 1803 today without any problems. Everything seems OK.